This guide will help you troubleshoot the Ntoskrnl.exe BSOD system error on Windows 10/7. Unless taken care of, this problem will cause continuous BSOD crashes. The infamous Blue Screen of Death (BSOD for short) is one of the most feared PC issues that one can encounter. Oftentimes it can be very difficult to determine the exact cause of the crash and in some cases a BSOD might be an indication of a major issue with your machine and/or its system. Here, we will be focusing on one particular case with a Blue Screen of Death crash where the displayed message has the name Ntoskrnl.exe in it. If that is your case, there are several likely causes for the problem. The first possibility is that there is an issue with your RAM. It could be a RAM stick that’s not firmly in its place or one that is faulty and is thus making your system unstable. Another common cause for a Ntoskrnl.exe BSOD is drivers that do not match your hardware. If you have recently updated your machine by replacing some of its parts, your drivers might need an update in order for your system to function properly. 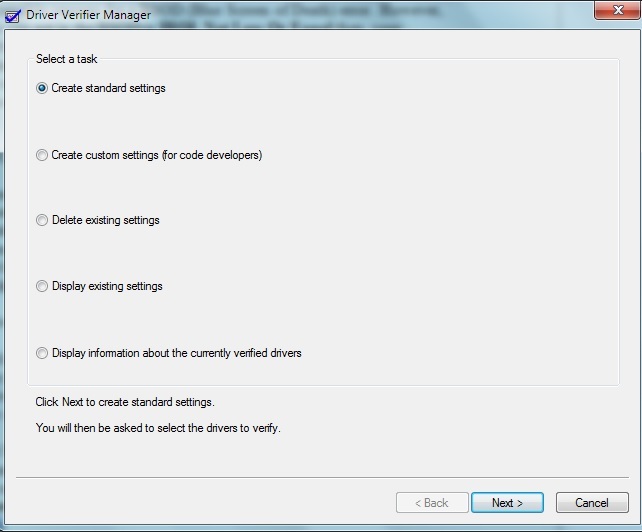 Open your Start Menu and type verifier in the search field. Choose the option Create Standard Settings and click on Next. 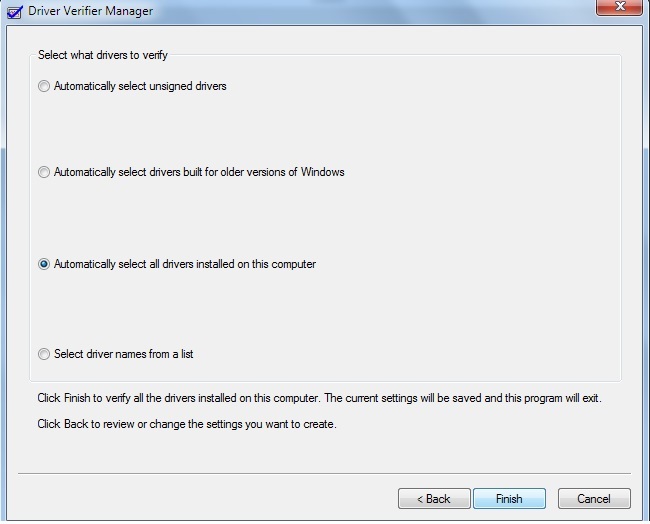 Now select Automatically select all drivers installed on this computer and click on Finish. Restart your Computer and wait until all drivers have been verified. Press the Winkey button and in the Start Menu search box type device manager. Locate the driver that has been causing the ntoskrnl.exe problem and right-click on it (usually has a yellow mark on it). 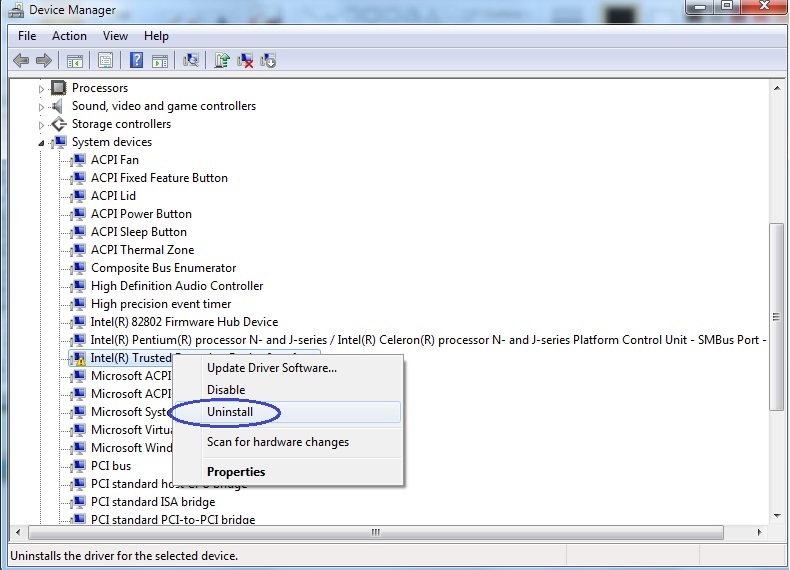 Select Uninstall and restart your PC. The uninstalled driver should automatically install once you boot back-up. 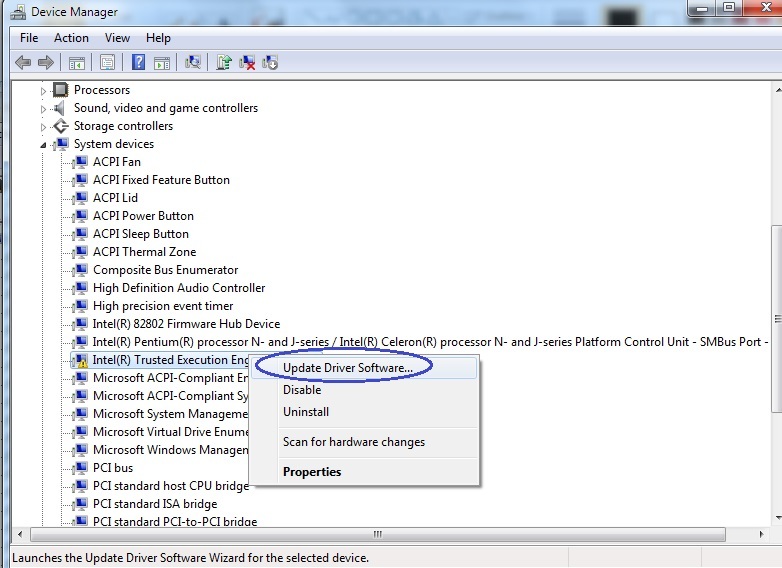 However, it is advisable that you go back to the Device Manager, right-click on that driver again and this time select Update driver software. 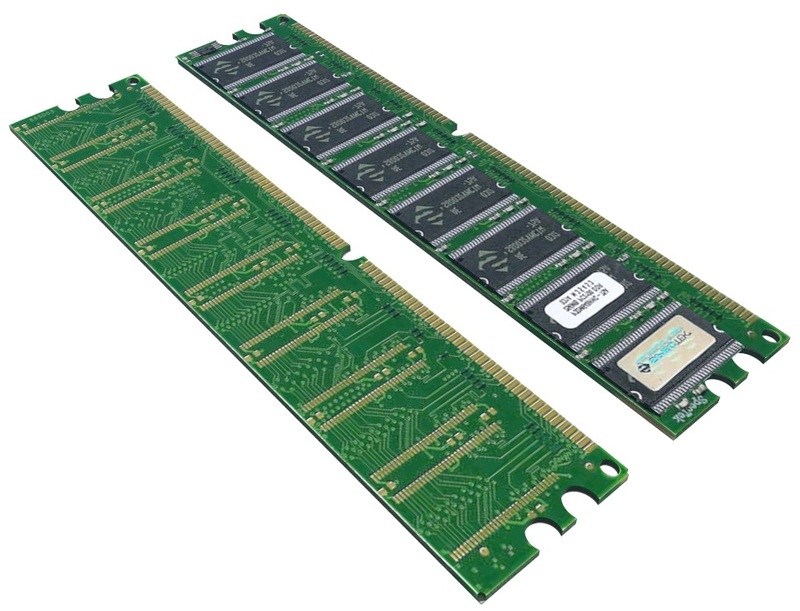 There is no going around it – if the problem is with one or more of your RAM sticks, then opening your PC case and taking a look at what’s inside is the only way to go about it. However, before you do that, you can first use a software tool that will help you detect if the problem is really coming from your RAM. There are a lot of such free software tools online. One example is memtest86. Search for it in your browser and download the program. Keep in mind that it requires to be burned onto a bootable DVD/USB in order for you to carry out the memory test. If you do not know how to burn a bootable device, here is a link to a guide which will show you how to do it. Now, if the problem is really caused by a faulty RAM stick, carefully unscrew the bolts and look at the inside of your PC. 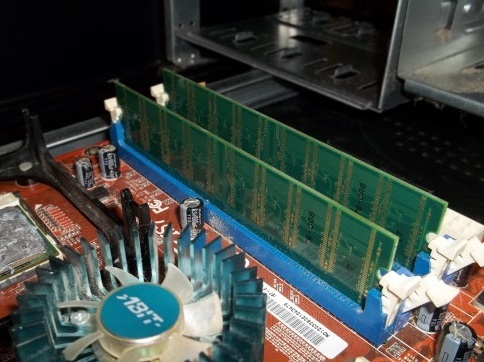 The ram sticks are long and narrow flat pieces and in order to release them you usually need to press two clips that are at the two sides of the stick and are holding it together. First, we suggest that you make sure that all of them are well fit in their place, because if there is one that is not well tightened, it just might be what’s causing the instability in your system. If that is not the case, start removing them one at a time and try booting your PC in between to figure out which stick is the problematic one. Once you’ve found the ram stick that has been causing ntoskrnl.exe issue, replace it with a new one and see if the problem has been solved.